Both types of panel can be mounted on a roof, ideally facing due south. Solar panels can also be mounted on the ground using either a commercial mounting system or a bespoke wooden structure. 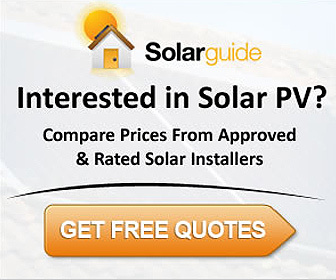 This article covers solar water heating panels. See information on solar PV panels for electricity generation. Dual coil hot water cylinder (210 litres) circa £900 (£750 ex VAT) – a single coil cylinder is not suitable. See twin coil hot water cylinder. Roof kit for solar panels (2 panel) circa £1,440-£1,680 (£1,200-£1,400 ex VAT) depending on whether panel is mounted on roof or replaces tiles. Installation circa £800 for 2 days work. Incentives for those installing solar water heating panels (solar thermal) are offered under Renewable Heat Incentive (RHI) scheme which came into effect on 9th April 2014. Under the RHI scheme, payments of 19.51p/kWh will be paid on domestic properties, subject to the property having an EPC (Energy Performance Certificate) and having minimum levels of loft and cavity wall insulation. The payments are made quarterly for 7 years and are updated in line with inflation. Note: A combi boiler is not generally recommended for use with a solar water heating panel. See an explanation of how these systems work (courtesy of Worcester Bosch).